The concert hall at the Sydney Opera House holds 2,700 people. This blog was viewed about 9,500 times in 2011. If it were a concert at Sydney Opera House, it would take about 4 sold-out performances for that many people to see it. Does Expending Resources on CSR and Sustainability Destroy Economic Value? 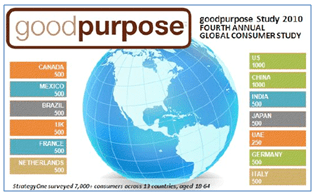 CSR and Sustainability in Mainstream Media: Citizen Journalism Or Simply Shared Value? Thank you to all of you for a tremendous year! I value your support, trust, readership, comments, courage and enthusiasm to say, do and compel others toward the right action. Here’s to expanding our “small world” of CSR and sustainability slowly but surely, one person at a time in 2012!